Let’s start with a skin care regimen to ensure a cute canvas for our prom look, mmkay? Dermalogica Clean Start Wash ($20) Salicylic acid, orange peel and licorice extract keep acne from destroying your lifestyle while brightening. Daily washings with this formula can ward off breakouts and keep your mug fresh. Olay Fresh Effects S’Wipe Out ($5) Not washing off your makeup even just one night before a big event like the prom can assassinate all your hard skin care work. Just to be safe, stick a stack of these on your nightstand to remove surface grime and cosmetics quickly. 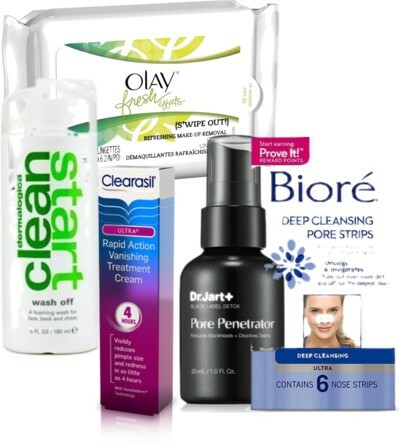 Biore Deep Pore Cleansing Strips ($7) Other than ear candling and a good Baby Feet session (review to come), not one thing is more satisfying than seeing blackhead innards on your Biore strip. The deep cleansing iteration tingles in a sparklingly clean pore kind of manner. Get involved. Dr. Jart Pore Penetrator ($24) This one-step treatment positively digests blackheads while tightening large pores for a smoother, more even look. Clearasil Ultra Vanishing Acne Treatment Cream ($6) If you are plagued with the odd blemish, don’t pop it (I know, it’s hard) and smear on nightly applications of this Benzoyl Peroxide blend to shrink it considerably before your big night out. 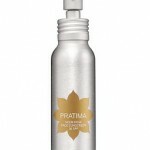 Oh, and don’t forget the Jane Iredale Zap&Hide (http://www.astonishingskincare.com/jane-iredale.html)! It’s only the best thing since sliced bread for treating and concealing blemishes!